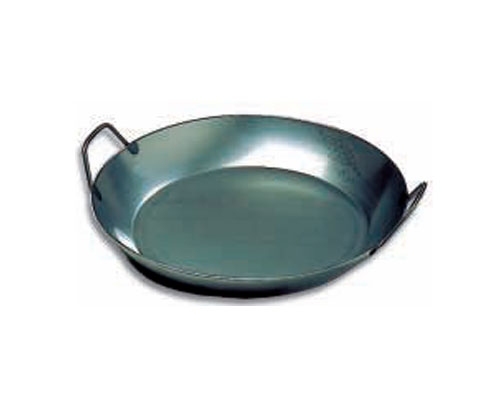 Bottom Base: 10 1/2 in. Weight: 6 lbs 2 oz. 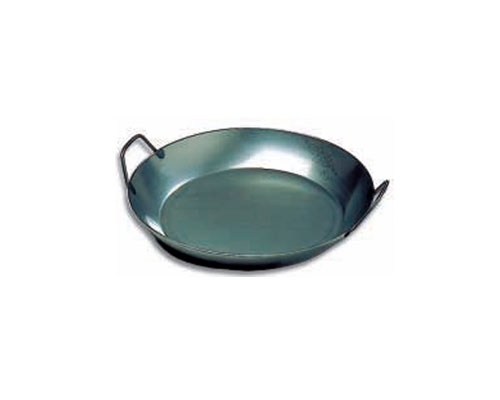 Paderno 17 3/4 in. 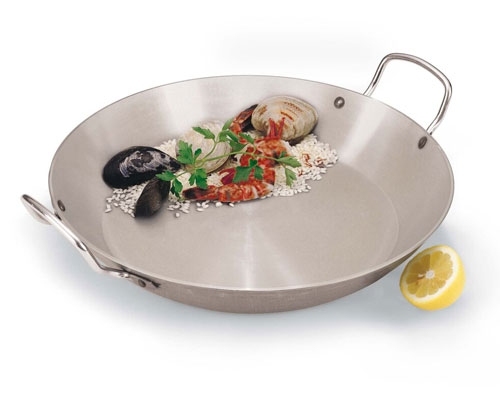 Carbon Steel Paella Pan is the go to pan for a large batch of Paella for holidays and special occasions.